A yummy gambling time is waiting for everyone ready to test Baker’s Treat free slot machine game. The creator of this sweet, baking slot is Play’n Go. Packed with cupcakes, pies, macaroons, and other delicious sweets, the slot has 5 reels with 15 paylines and six bonus features. 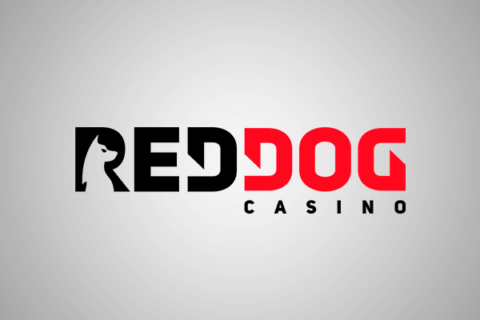 Despite the overall simplicity and somewhat naïve theme, this is the high-variance game with the possibility to pay up to 5,000x your bet on every spin. People, who like Play’n Go slot games free play for fun, will agree the quality of each release becomes better and better. 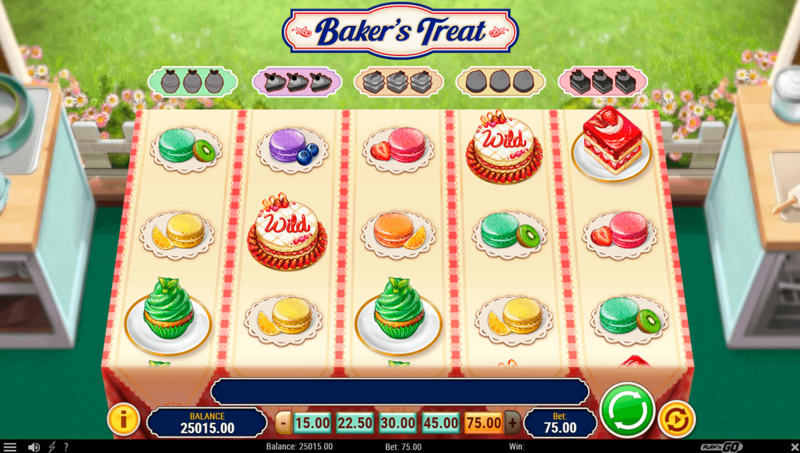 The theme, design, and features of Baker’s Treat game let is to hold a strong position among new free slots. We cannot ignore the fact this slot is compatible with all modern devices and is easy to find among free slots for mobile phones and tablets. All in all Baker’s Treat is the intriguing release that allows us to take a peep at a professional kitchen of a talented baker. The reels are set on the table and we see other tablets with kitchenware near them. The bakery is located in the picturesque countryside as we can see trees and flowers through the kitchen window. The paytable consists of fragrantly sweet goodies. Here we have blueberry pies, strawberry sponges, carrot cakes, lemon cheesecakes, cupcakes, and 5 colorful macaroons. The one and the only special symbol is the Big Cake image (Wild). 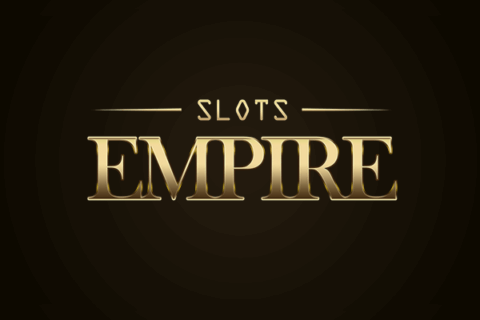 By the way, the slot offers the win-both-ways payouts meaning you will be collecting coin prizes from combos paying from left to right and vice versa. The free video slot play of Baker’s Treat game is interesting not only from the purely aesthetic point of view but also from the gambling perspective. This is possible due to the set of entertaining and lucrative extra features. 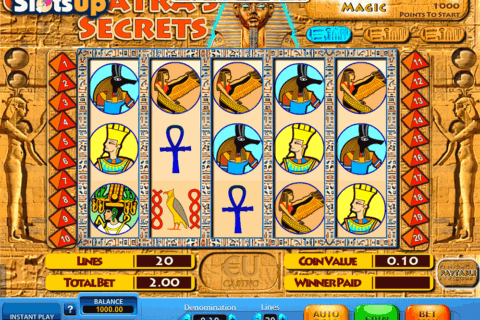 The trained casino player’s eye will quickly notice the prints of 5 high-value dessert symbols on the reels. They are here to give access to the Bake Off feature. If you get five stacked cake symbol on their associated positions, you will benefit from a spin with these stacked cake icons. The bonus play can continue up to 10 Bake Off Spins. Moreover, one of five Flour Power features (read more details below) will be active during the Bake Off Spin. Every extra spin comes with all 5 Flour Power features in action. This is where players have the chance to grab these impressive 5,000 coins in a single spin. Almost every dessert has flour among its ingredients, so this is no wonder the developer has added Flour Power Spins to Baker’s Treat online slot. The sooner you fill the associated cake meter, the quicker you will trigger Flour Power Spins. Each full stack of the same cake symbols adds tokens to the meter and 3 filled positions lead to Cupcake Power, Blueberry Pie, Carrot Cake, Lemon Cheesecake or Strawberry Sponge Power Spins. These features are great entertainment and the cool chance to win big for people who choose slots that pay real money. The ones created by Play’n Go are easily accessed through checked platforms from our Play’n Go casino list. 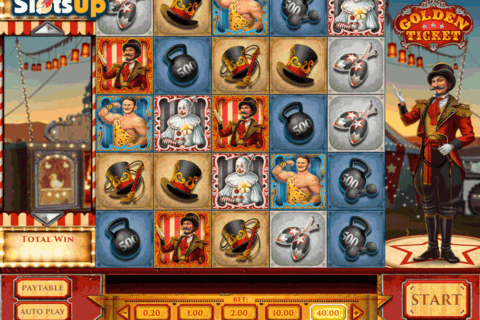 So, the Cupcake Power feature comes with 3 free spins with 2 reels filled with identical symbols. The Blueberry Pie Bonus awards 3 free spins with 1 Wild Reel. 3 free spins with all Carrot Cake symbols turned Wild is your prize in the Carrot Cake Power Spins. The Lemon Cheesecake Power feature offers 3 free spins with regular Big Cake Wilds expanding on the reels. The Strawberry Sponge feature brings 3 free spins with all macaroons transformed into one type of this delicious dessert. Baker’s Treat is the great culinary-based slot stuffed with Expanding Wilds, Wild Reels, Bake Off Spins, and other rewarding features. 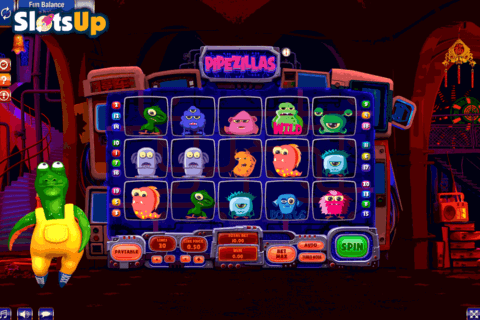 We are glad we have it at SlotsUp and invite you to test it right now. Baker's Treat Casino List - Where to play Baker's Treat slot for Real Money Online?